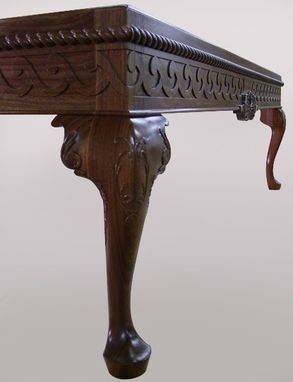 Hand carved black walnut cocktail table. 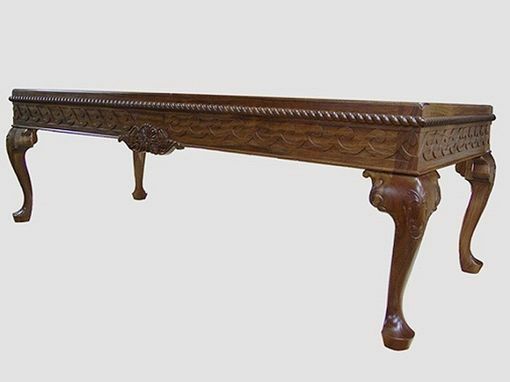 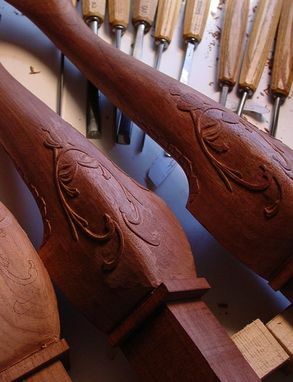 Mortise & tenon joinery, hand shaped/carved cabriole legs, rails, etc.. 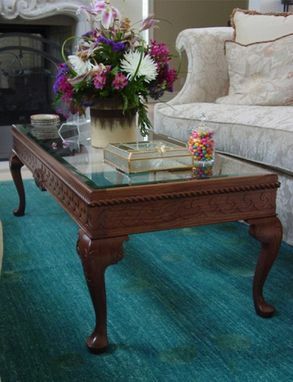 Topped with tempered/beveled glass top.